There was a time when protecting the crops from predators was the task of children. A dearth of children in the wake of the Great Plague, some historians surmise, led farmers to use adults to guard their crops. Some kept watch in straw huts. Others stood on wooden lookouts. As farms grew larger, human-like effigies rose from the fields and thus was born the scarecrow. 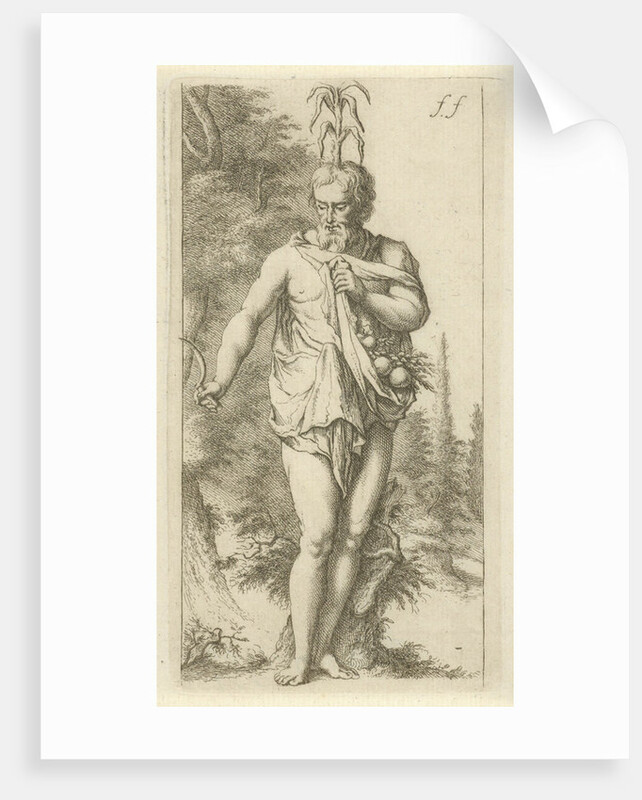 A definitive history of the scarecrow has never been penned. What is known is that among the first "field gods" were Japanese kakashi, a deity of knowledge and agriculture such as Kuebiko who is unable walk and therefore simply stands in the fields. 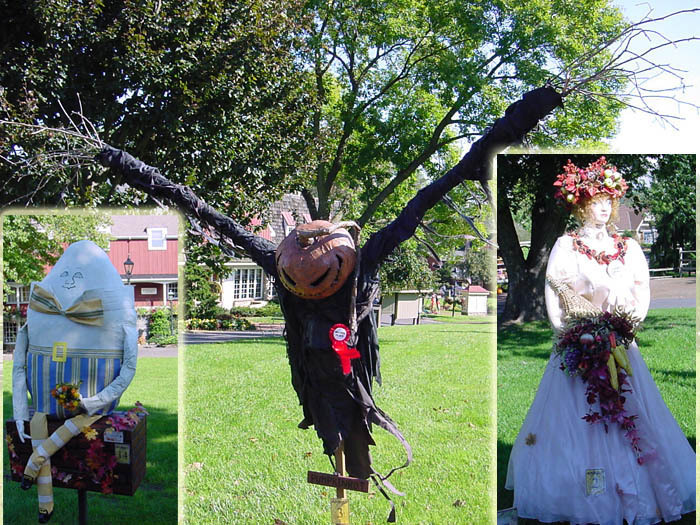 American folk art historians say scarecrows are in a class known as "ephemerals" in that they don't last long. Snowmen and harvest figures are also counted among the ranks of ephemerals. 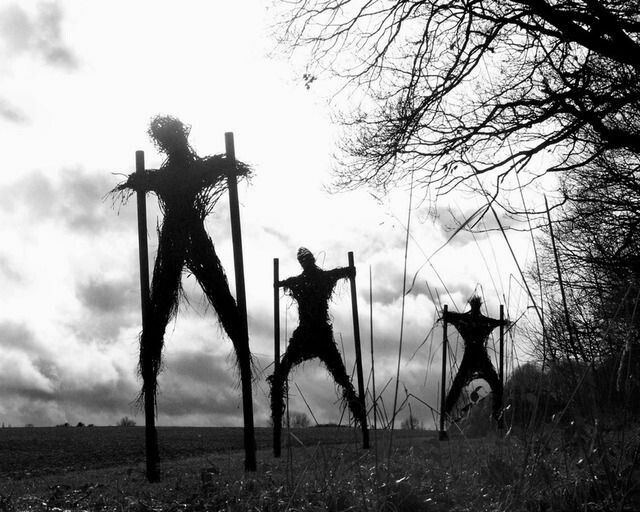 The original European scarecrows were nothing like the now familiar straw-stuffed icon of Oz. Scarecrows, sometimes bearing an animal skull or rotting produce, were placed in fields in the spring and were burned after the Autumn harvest in celebration, their ashes returning nutrients of potassium and nitrogen to the soil. 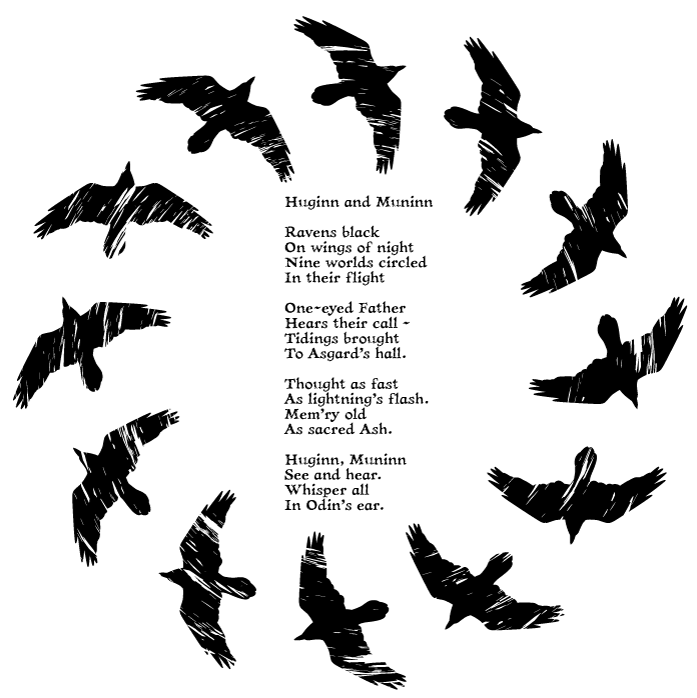 In Great Britain they are known as hodmedods, murmets and Hay-man, Tattie bogle or bodach-rocais (old man of the rooks). To the Bengalis it's a kaktadua. A straska to the Czechs. To the Russians, a pugalo, just to name a few. Through the ages their makers worldwide have fashioned the often maudlin-looking figure to reflect images of the occult, of customs, culture, mythology, superstitions or religion. 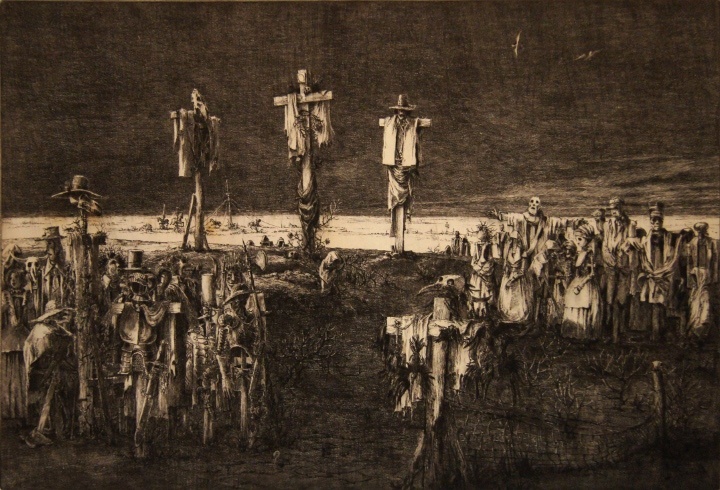 A scarecrow hung with arms outstretched on a wooden cross echoes the crucifixion as portrayed in this etching by Jim Yarbrough. To a farmer they may simply be a symbol of the death and resurrection of the crops. 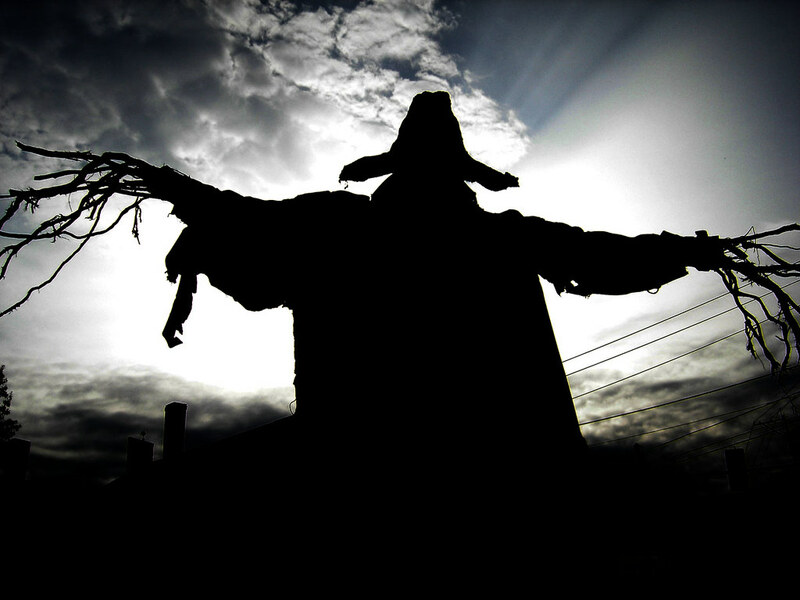 The scarecrow may have originally been a severe warning, a "no trespassing" symbol, likening it to the deeds of Vlad the Impaler, or sacrifice - an offering in turn for fertile fields. In more recent times, cartoonists have skewered politicians by depicting them as scarecrows. 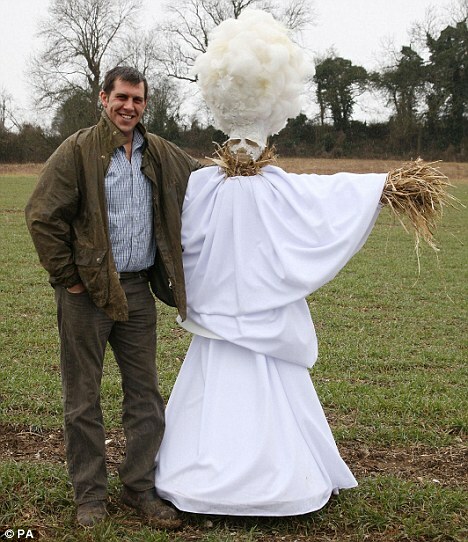 A British wheat farmer, hoping to scare off pigeons ravaging his crop, built a scarecrow of Lady Gaga as she appeared on the 2010 Brit Awards. Today, many people may be more familiar with scarecrows from Halloween decorations than the field. For the most part, the scarecrow has vanished from the American landscape. The scarecrow has hung on in some parts of the world (like Carcosa?). 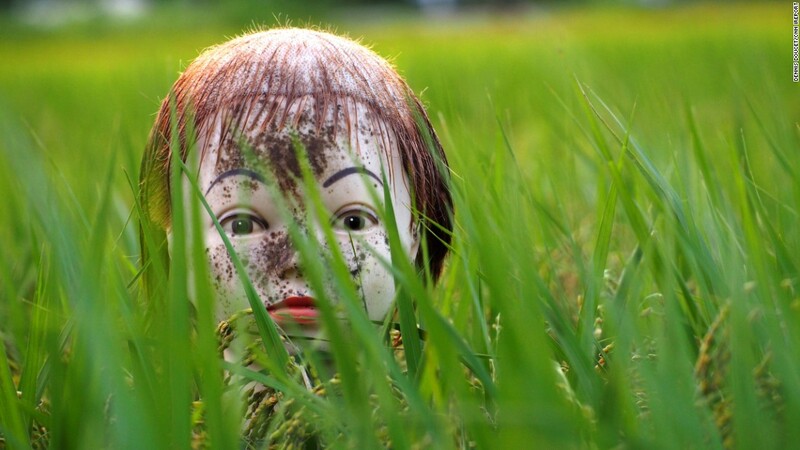 They are still widely used in Japan by rice farmers who make them out of old doll heads and used store mannequins. They can also still be seen in rural towns throughout Europe. But the hay-man is rarely seen in the U.S. and other regions where large scale agriculture is common, save for in films and literature. However, in a workshop in Bucks County, Pennsylvania an artist known as Pumpkinrot quietly crafts hauntingly beautiful scarecrows from found organic matter (think petrified branches and roots) and places them in fields across the state. Little is known about the man behind Rot, other than he is in his early 40s. He says he was drawn to scarecrows upon seeing them as a child when his parents took him on long drives through rural Pennsylvania. "I remember being very curious about the farms and wondering what it might be like to live that different life," he writes. "It seemed very isolated to me. And we'd always see crude scarecrows in the fields, making that life seem more of a mystery to me." His first creation had the same name he now calls himself. In 2003, the artist created PumpkinRot on a lark as an entry the Peddler's Village Scarecrow Festival in Lahaska, Pennsylvania. Corpse-like with an oversized pumpkin head, it came in second place with first going to a family-friendly Humpty Dumpty scarecrow. The passion ignited, Rot entered yearly, his designs drifting further and further from the figures donning straw-stuffed overalls and fedoras. 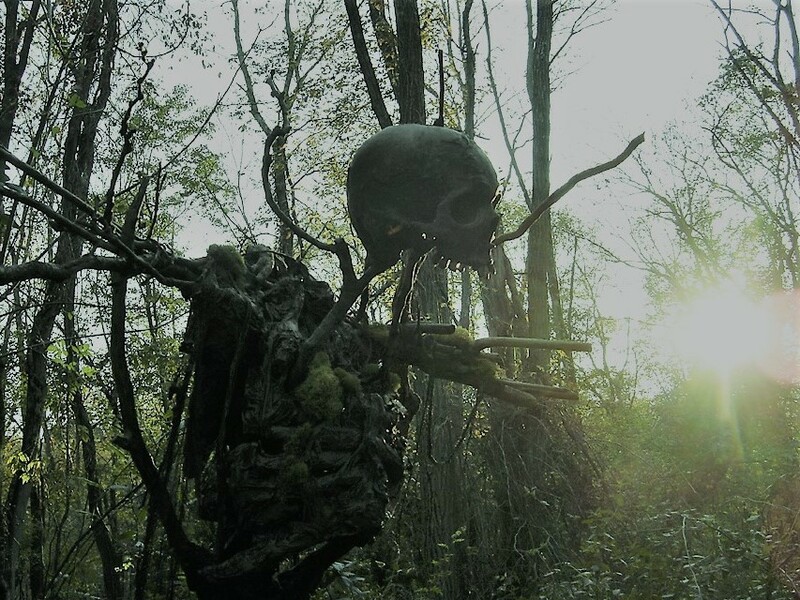 It is interesting that his designs seem to have rediscovered the old aesthetic incorporating skulls and rotting vegetation. Eventually, rather than compete, Rot would build the scarecrows, name them and deposit them on farmland near roadsides, staying distant but watching the reactions of people as they drove the secluded roads. His darkly beautiful works became legend. Rot built a website and is now followed by scarecrow enthusiasts worldwide. In May 2014 the Stan Winston School, known for producing some of Hollywood's best prop designers, brought Rot's scarecrows to Hollywood. 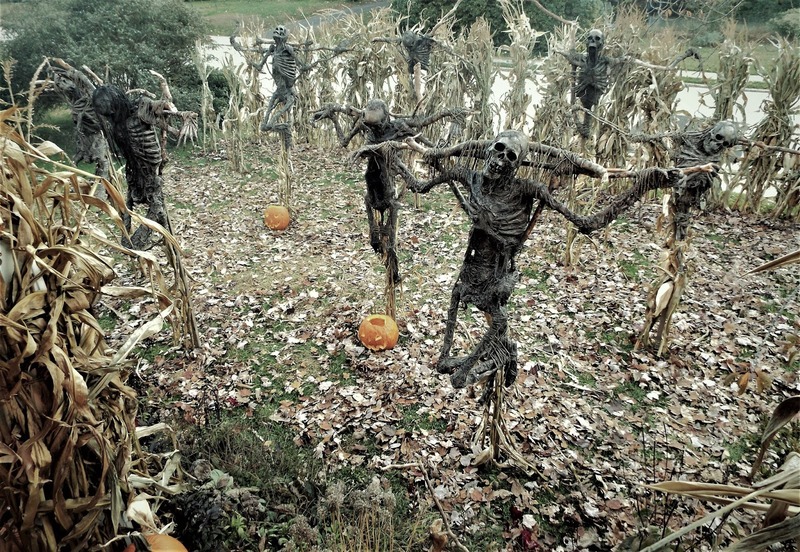 The director of the horror flick "Mr. Jones" (a couple go into the woods, bad things happen) sought a scarecrow artist to make twelve for his film. The school had been following PumpkinRot's work and realized they had found the perfect project for him. "I've worshipped that prop shop since I was a kid. So to think that they knew of my work? What a crazy ride," wrote Rot. Although PumpkinRot does not typically sell his scarecrows, he would if a farmer decided to return one to the fields for use. The idea of putting one to work is bittersweet. It's a lonesome post, Rot says, standing in the fields for days and months as weather and the elements slowly turn the scarecrow to rotting, disintegrating tatters. Years of building them has given PumpkinRot plenty of time to think about the role of a scarecrow, even as they have disappeared from the fields. "There was an isolation and loneliness to the scarecrows," says PumpkinRot. "You never see two together. They're always alone, doing some important, solitary job for the person who made them." When asked what inspires him, Rot said,"Halloween and organic elements are two intensely-related things to me, so I try to capture that relationship in my scarecrows, creatures, displays, and photos. I get a ton of inspiration from things like leaves, dried corn stalks, twisted branches and vines, and tired old pumpkins. I think true Halloween magic comes from its earthy side, and I think I'm always trying to find that magic in the things that I build."